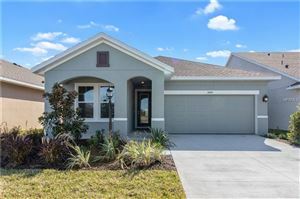 The Manatee County housing market continues to expand and impress thanks to new construction projects such as Moss Creek in Bradenton, a gated community being developed by David Weekley Homes near the Oneco district west of I-75. Moss Creek is an ideal neighborhood for home buyers looking to raise families, make a sound real estate investment or retire in Bradenton. 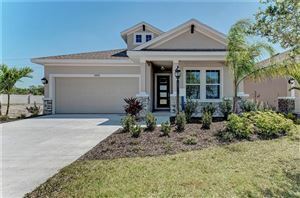 The models selected by David Weekley Homes for this neighborhood have substantial curb appeal; the styles combine elements of coastal and Latin American design, and the properties are very well-appointed in terms of features and extras. At Moss Creek, a floor plan such as the Custer, which offers two bedrooms with two full baths on 1,650 square feet of interior, home buyers will find granite counters, extended lanais, sliding glass doors, birch cabinetry, Delta faucets, linen closets, large utility rooms, and more. Initial pricing for this model is $296K, but this will likely increase later in 2018. The largest model is the Saltillo, a two-story home with four bedrooms and full bathrooms built on 2,658 square feet of living space. 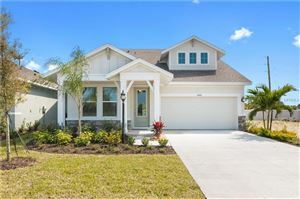 David Weekley Homes is a national home builder that is rapidly expanding in Southwest Florida; this company has a great track record of development and quality construction, and it is also known for building energy efficient homes. Thus far, homes completed by this builder have sold quickly. Neighborhood amenities at Moss Creek include small parks, a playground and nature trails. This community is very close to the shopping districts of State Road 70 and 37th Street, which means that residents have easy access to stores, cafés, restaurants, and attractions such as John H. Mable Park. The Lockwood Commons shopping plaza, which is anchored by Walmart and a Publix supermarket, is less than a mile away. The downtown districts of Sarasota and Bradenton are almost equidistant to Moss Creek; both are less than 30 minutes away, and the same goes for the beaches located at Siesta Key and Bradenton. 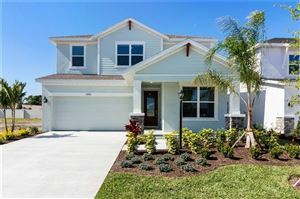 See all Moss Creek Bradenton Homes for Sale.